Please contact me regarding the 2019 Gallegos FRAMELESS HALF ROUND END DUMP - Listing# 612620 for sale at TruckerToTrucker.com. 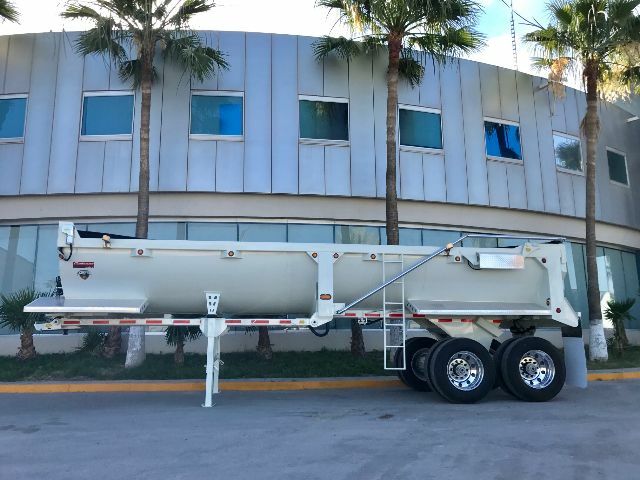 Take a look at this 2019 Gallegos FRAMELESS HALF ROUND END DUMP. It is Listing# 612620 at TruckerToTrucker.com. 2019 HALF ROUND END DUMP TRAILER "GALLEGOS" BRAND, CAPACITY: 27.5 YDS3 LENGTH : 32 FT, WIDTH 8.53 FT. BODY: HARDOX STEEL 3/16" CHASSIS: FRAMELESS SUSPENSION: HUTCH SINGLE POINT SUSPENSION 50,000 lbs AXLES: 2 ROUND 25,000 LBS AXLES BOOSTER: DOUBLE ABS SYSTEM: ON BOTH AXLES HIGH LIFT GATE : INCLUDED ALUMINUM BACK FENDERS: INCLUDED CRAMARO ELECTRIC TARP: INCLUDED We sell and finance trailers. We work with all types of credit and have finance programs to fit every situation. We make it easy and affordable for you to finance your next truck or trailer quick and easy. Call FRED Today 469-225-0108 Hablamos español llámenos hoy para iniciar el proceso para obtener su crédito. Aquí aceptamos todos los tipos de crédito. PICTURE SHOWS UPGRADE OPTIONS NOT INCLUDED IN THE PRICE !